The arrow this hawk was illegally shot was removed and the bird released Wednesday. The Pennsylvania Game Commission is searching for the culprit. 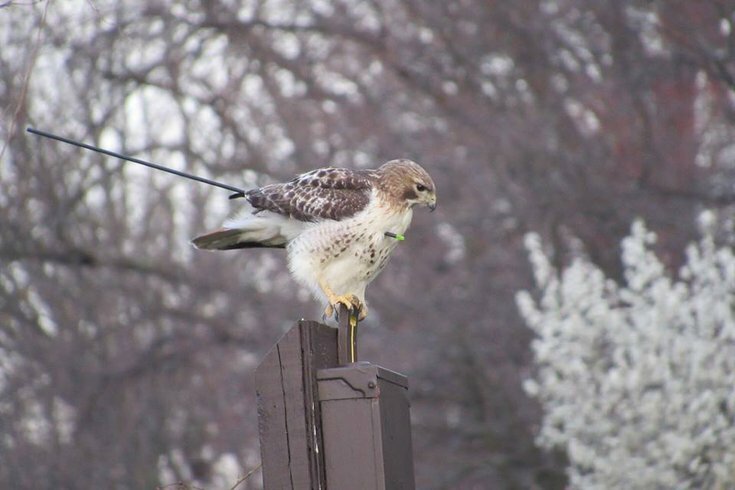 A red-tail hawk shot with an arrow is now rehabilitated and it returned to the wild Wednesday in York County, Pennsylvania, according to a spokesman for the Game Commission. Falconers and commission employees captured the bird about a month ago. The arrow was removed, the bird was allowed to recuperate and it took off this morning, said Barry Leonard, information and education supervisor for the commission's South Central office. Officers are seeking information on who shot the bird. Leonard said tips can be made to the commission’s South Central office at 814-643-1831.